David Gilmour has one of the most sought after guitar tones of all time. 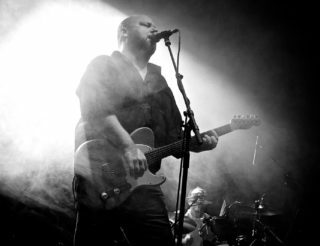 He is regarded as an absolute goliath in the world of tone. Gilmour became an icon through his work with Pink Floyd and became known for his classy, pure, single coil tone. His tone is very clear and transparent, even when distortion is used, which captures the player’s expressiveness. Today we are going to take a look at the guitars, amps, pedals and more that you can buy that will get you the famous Gilmour tone! 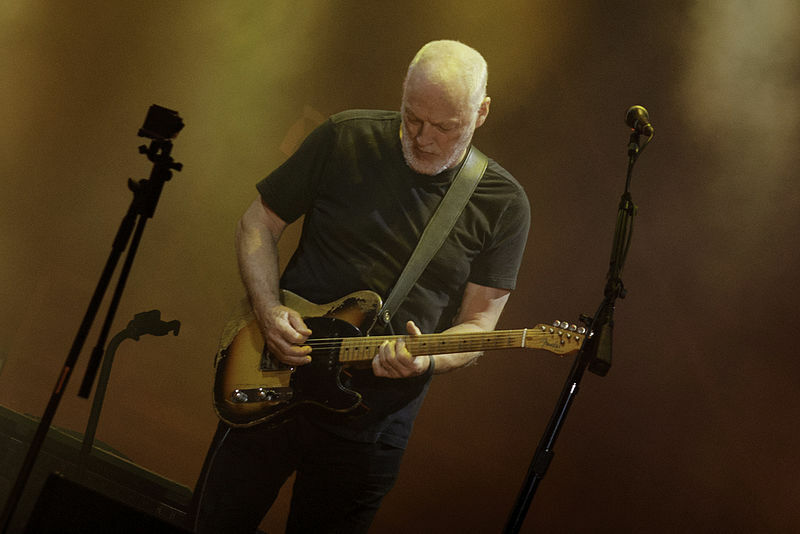 Gilmour achieves a beautiful, clear tone which is just as important to his playing as his technical ability. He is also known for his use of effects such as phasers, delays and reverbs on the Pink Floyd records. These sounds have become Gilmour’s tonal calling card and allow for enhanced ambience in his guitar parts; they are absolutely crucial to achieving his tone. He often uses very complex rigs whilst on tour and in the studio so here we will take a look at ways to achieve his high-end tone without breaking the bank! The first thing on the path to achieving the Gilmour tone is obviously the guitar. He is famous for using a black Fender Stratocaster with a maple fretboard and loaded with higher output single coil pickups (we will discuss pickups specifically later on). If you are a massive Gilmour fan and need to have his tone than the first place to start would be the replica of his guitar made by Fender it is very expensive but they do an amazing job of replicating the tonal and aesthetic features of Gilmour’s personal guitar. Another great option, in a more manageable price range, is the Fender American Standard Stratocaster. On this guitar, you will find very similar specs to the actual strat Gilmour uses: an alder body, maple fretboard, “C” shaped neck, 3 single coil pickups and a 25.5″ scale. To top it off this one is a fraction of the cost of the custom shop guitar and is still a professional quality guitar! If you’re on a budget, have no fear! Check out the Fender Standard Stratocaster. These guitars are not American made but they feature all of the familiar features of the iconic Stratocaster and they sound great! If you’re not into Fender guitars plenty of other companies make “strat-like” guitars that feature the double cutaway body and the three single-coil pickup configuration. When it comes down to it, the single coil pickups add so much to the Gilmour tone and any guitar that features single coils is a possible candidate to conjure up the Gilmour sound! Other guitar manufacturers that produce Stratocaster reminiscent guitars include G&L and Suhr! Single coil pickups provide a pleasant sonic twang and a glassy clarity inherent in the David Gilmour tone. As mentioned before, single coil pickups are an essential part of the Gilmour tone. As a Stratocaster player, Gilmour used the “SSS” configuration; a single coil pickup in the bridge, middle and neck. 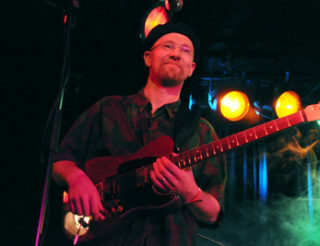 The five-way selector on Stratocasters allowed him to take advantage of this combination and create many different tones. In Gilmour’s own guitar, the neck and middle pickups were the pickups that came with the guitar but the bridge pickup was a custom pickup made by Seymour Duncan which is now in production as the SSL-5 pickup. 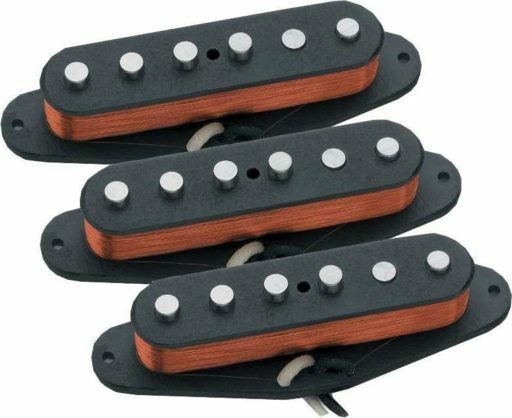 This is an overwound pickup what strikes a great middle ground between increased output and traditional Stratocaster sound. It makes chords sound fatter and gives lead lines more clarity so they cut through the mix easier. 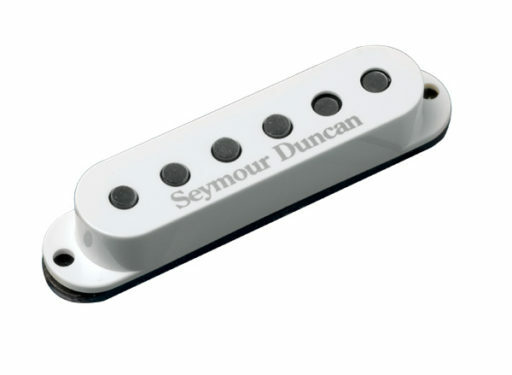 Seymour Duncan also makes an SSL-5 set which has all 3 pickups! The main thing to look for when it comes to pickups, in this case, is increased output and clarity. Another great choice would be the Marshall DSL40c . This is another great affordable amp that can be pushed into the high volume range while retaining its clarity. 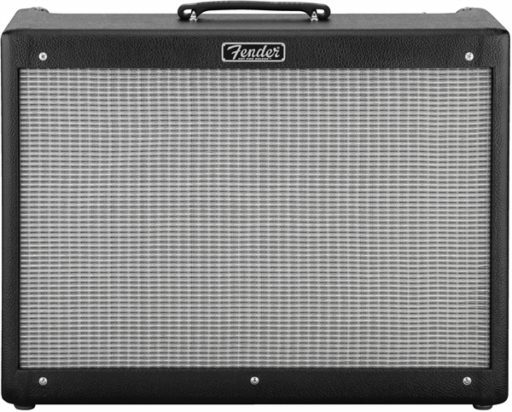 It features 4 ECC83 and 2 EL34 tubes which give it a different character than the Fender style amps so it really comes to down to personal preference when making an amp decision! A massive part of Gilmour’s tone is his use of effects pedals. He is known for using modulation effects like a phaser, tape delay and reverbs. 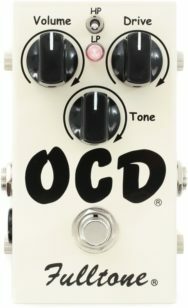 Let’s start with distortion pedals. 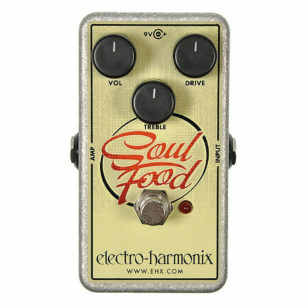 Great transparent overdrives such as the Wampler Euphoria, Electro-Harmonix Soul food and the Fulltone OCD will get the job done. They are all extremely versatile and have the necessary power and clarity to achieve the Gilmour tone. Gilmour is constantly experimenting with new sounds and pedals but he is quite famous for using phasers, delays and reverbs. For a great phaser pedal check out the MXR Phase 90, this one is super common because it sounds amazing and is very simple to use. 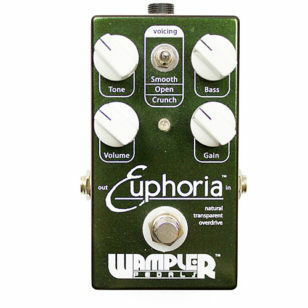 For delay check out the Wampler Tape Delay or MXR Carbon Copy. If you’re really looking to invest in a very versatile delay pedal look no further than the Strymon Timeline. When it comes down to reverb, the TC Electronic Hall of Fame is a great choice and will supply you with that great echoing room sound! 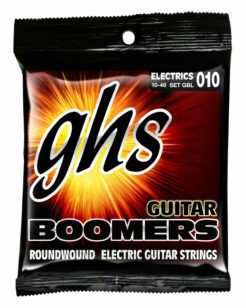 When it comes to strings Gilmour uses a custom set: .010 .012 .016 .028 .038 .048 which you can purchase from GHS. 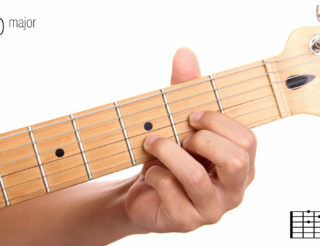 He uses this slightly thinner B and G string to make it easier to bend the strings and he uses these slightly thicker strings on the lower three strings to give the chords and riffs more definition and bite.